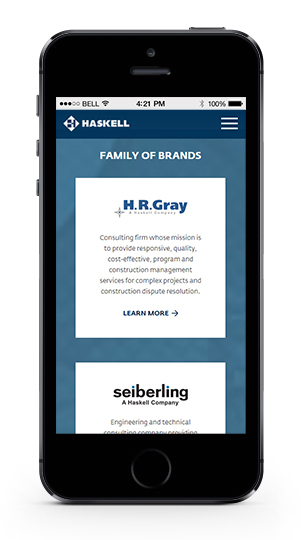 The Haskell family of brands provides integrated design, engineering, construction, and professional services to communities and clients around the globe. They provide facility and system solutions to world-class corporations and public organization that optimize performance while limiting risk. 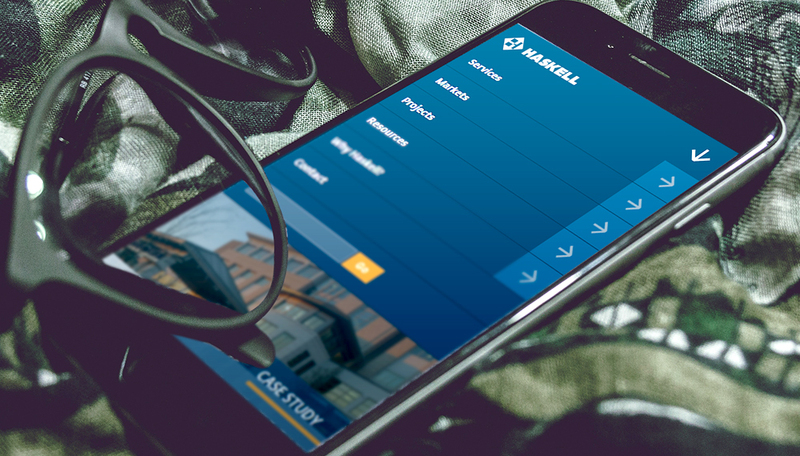 Haskell’s size and well-earned reputation for ensuring a certainty of outcome in their projects required a digital platform that communicated the company’s expertise, high quality, and scope of services offered. 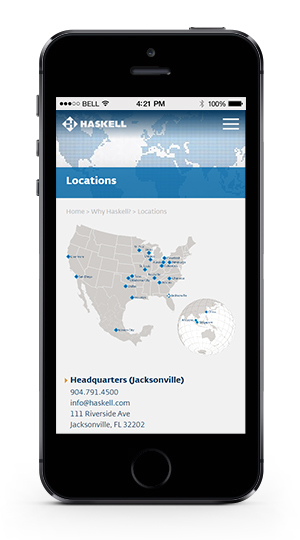 In addition to updating the site’s appearance, S4 worked closely with the Haskell team to organize information in a manner that was logical while addressing the needs of multiple audiences. 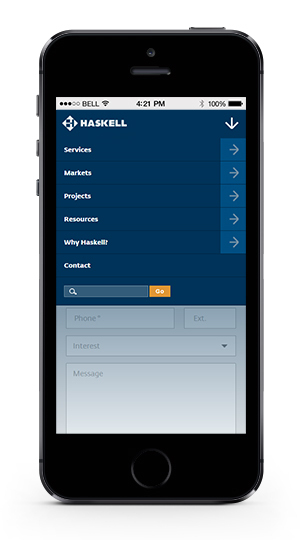 Representing Haskell’s experience completing more than 4,000 projects of varying scope was one of the main challenges of the project. Our team built a flexible digital platform that is capable of accommodating well over 100 featured projects in different markets with a wide variety of services. 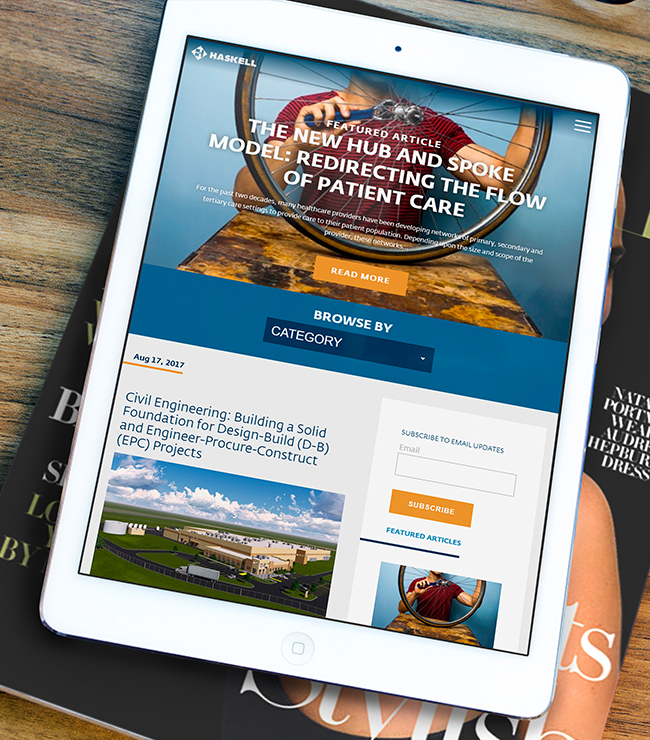 Individual projects varied in the amount of information available, so it was necessary for the design to look good with differing levels of content on the page. 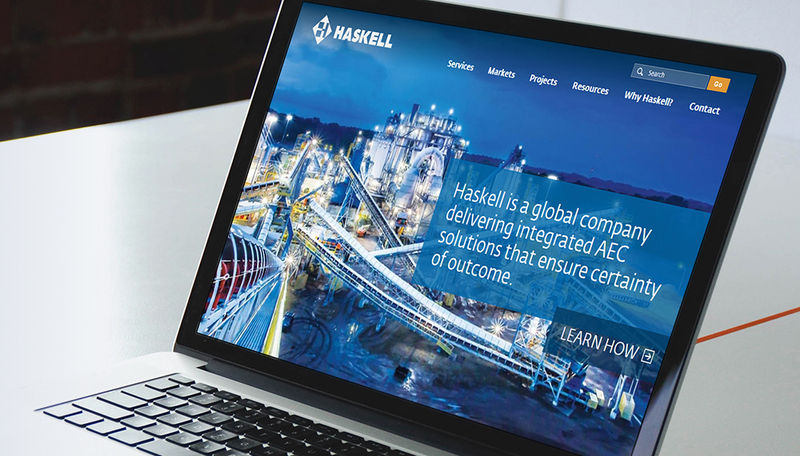 As pioneers in the AEC industry, it was important to highlight Haskell’s vast range of expertise. With a wealth of information available by way of white papers, technical papers, and case studies, we created a resources section of the site that accommodated existing information while allowing Haskell’s team to publish additional resources as they are produced.